Welcome to Trinity Tykes! This is a time for children ages 3-6 to learn about and grow in their faith while their parents worship at the 8:30am and 10:30am Mass times. It is available every Sunday except holidays and special events. You will be notified by bulletin and handout with these dates. 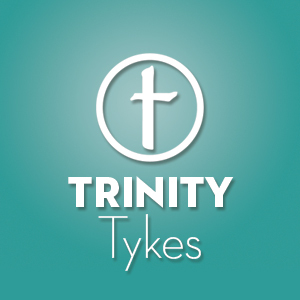 Trinity Tykes is designed to supplement the invaluable work of faith formation at home. As a co-op ministry, all families are asked to participate throughout the year and see the work God is doing in our faith time. For the Welcome Letter, registration, and liability release form, click here. There is no fee for this precious ministry! However, we do have a wish list that can be picked up at the Trinity Tykes room when the registration form is dropped off. We are unable to accept electronic, mailed or faxed registration forms. The first class for the Winter/Spring 2019 registration is Sunday, January 6, 2019! You shop. Amazon gives…to Holy Trinity. Welcome to FORMED. The Catholic Faith. On Demand. © 2019 Holy Trinity Catholic Church	| Designed by Dhali.com.